Use our custom plan builder to select all the features you need! Create your own plan tailored exactly to your special needs. We provide an extensive list of features we offer, you pick the ones you would like and then head directly to checkout. Easier than that, what? This package groups together our most useful addons at a super-discounted price. 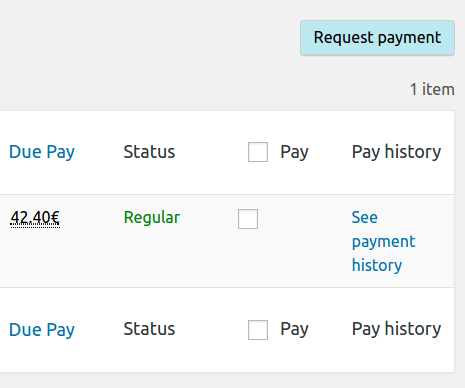 Get all the payment tracking features your site needs to save time and pay authors with ease! Includes Post Pay Counter PRO, Facebook, Author Payment Bonus and User Roles Custom Settings. The PRO version is the most complete addon we have and it’s a must-have for all sites which really need to manage authors payments. 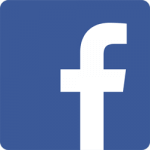 The Facebook addon allows to pay your WordPress writers basing on the Facebook social interactions their posts generate, which include shares, likes and comments. Given the importance social interactions have these days, there is no doubt that authors who bring traffic through social networks should be tipped! 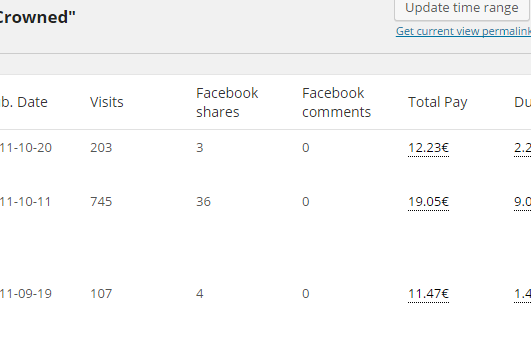 The BuddyPress addon allows you to display author stats and integrate Post Pay Counter with the BuddyPress Member page. This is ideal for websites based on BuddyPress, in which contributors do not have access to the admin area but need to access their own payment stats. 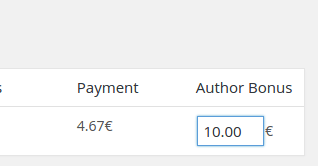 Apart from displaying the stats table, the addon does allso provide access to PRO features: tabs to access the author payment history and the PayPal email address are provided. The Request Payment addon allows authors to request a payment when they meet a certain threshold. 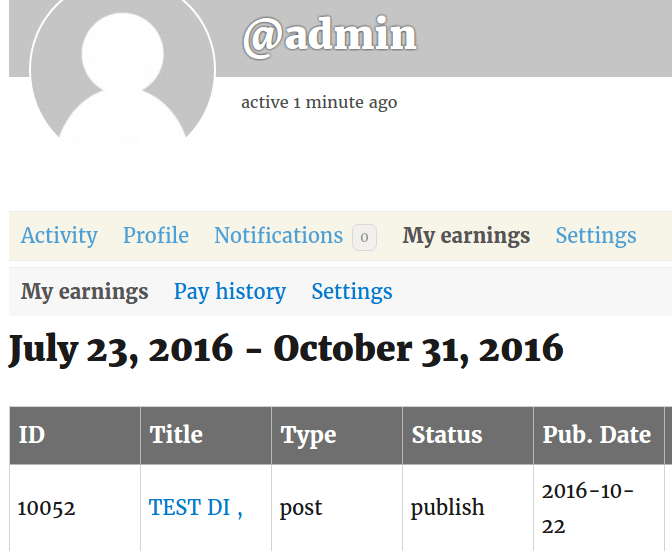 The admin receives a notification when a payment is requested, and the status is reset when the admin marks the author as paid or pay through PayPal. 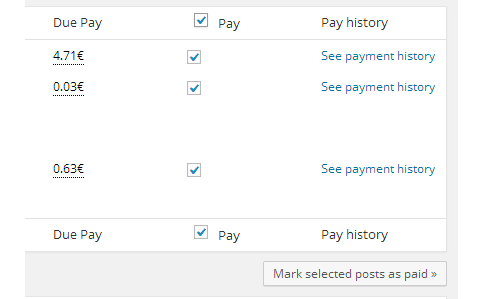 Apart from displaying in the stats page, the request payment features are available in the My Earnings tab of the BuddyPress member page, if the BuddyPress addon is installed. The Referral Visits addon allows to pay users for the visits and traffic they bring to your site. Users will be able to get a special referral link for each post and page of the site, that they may share. Every time someone visits that link, a referral visit will be logged for that author, effectively allowing you to award a bonus to authors that bring traffic to the site. 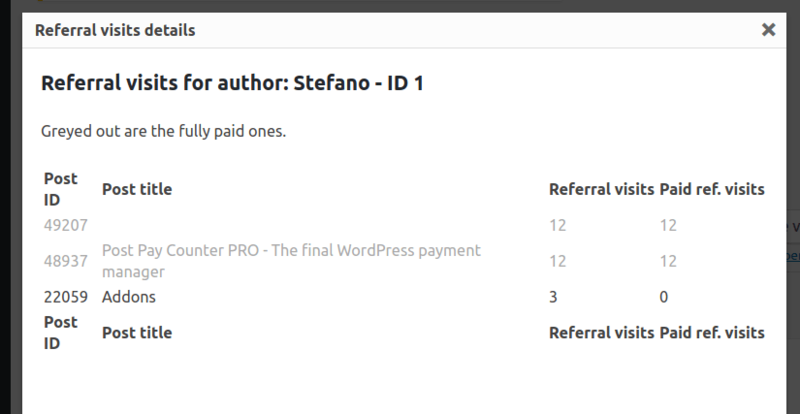 Fully integrated with the payment features of the PRO version, a convenient table shows all posts an author has referred visits to, what already been paid and what is left to be paid. 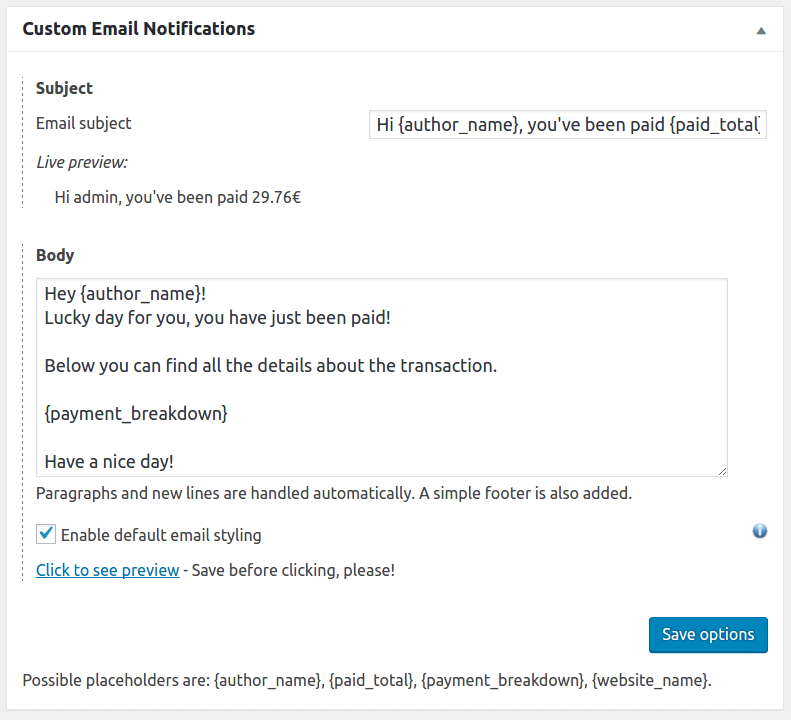 The Custom Email Notifications addon allows you to customize payment email notifications sent by the PRO version when users are paid. Both the email subject and email body can be changed, and shortcodes to provide details about the transaction are available. While setting it up, a live-preview of the email is displayed, so you always know what it looks like. The addon comes with a simple HTML and responsive template, so that emails look fine on all devices (even mobile phones), but the option to do away with it is provided. The Author Payment Bonus addon allows to manually award a bonus to writers just before paying. This is ideal if you would like to personally tweak the payroll, giving authors a little reward (or even decreasing their total payment). The addon works both with the plain mark as paid feature and with PayPal payments. The custom bonus will be logged in the payment history and be displayed in the transaction log just as any other payment criteria. 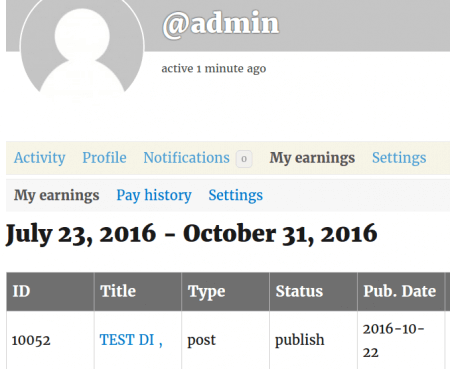 The Publisher Bonus addons allows to set up an author rewarding system in which users earn bonus by publishing posts. This is ideal for magazines with copyholders/proof-readers who need to be paid for their time reviewing and publishing posts, or for any peer-reviewed website. 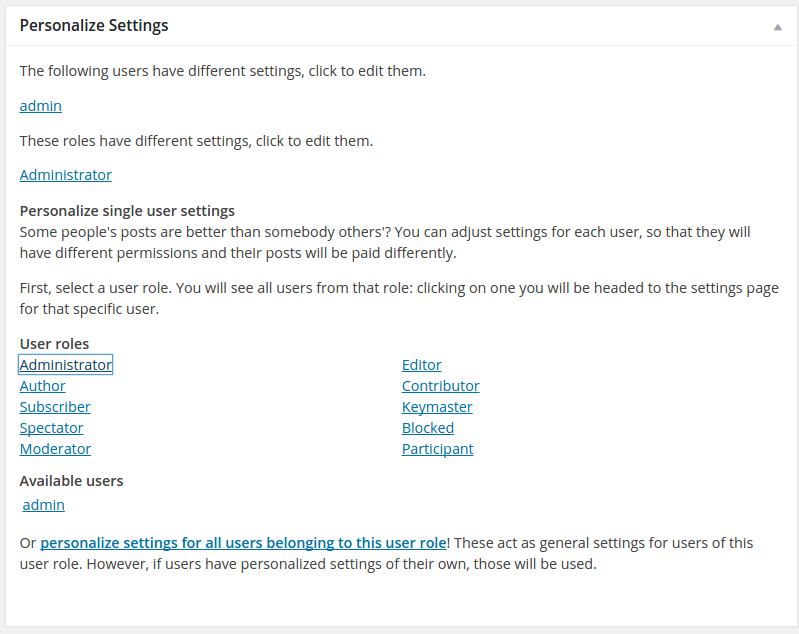 Allows you to set custom settings for each user role. This is ideal for sites where payment values and permissions are the same for all users in the same user role. Custom role settings apply to all users belonging to that role. 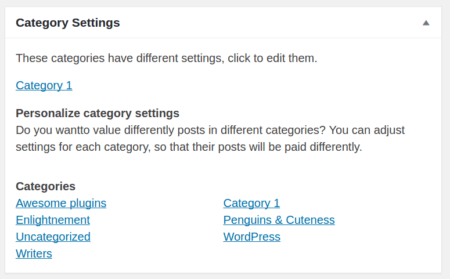 However, each user can still have special settings of their own! 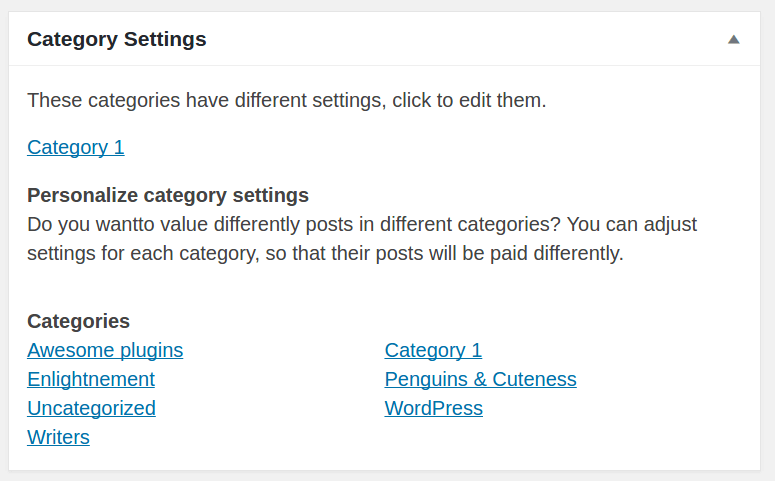 Role settings act just as general settings do, but they differ from role to role. All roles without custom settings will just use general settings, of course. The Pay Per Character addon allows to pay writers depending on how many characters their posts are made of. 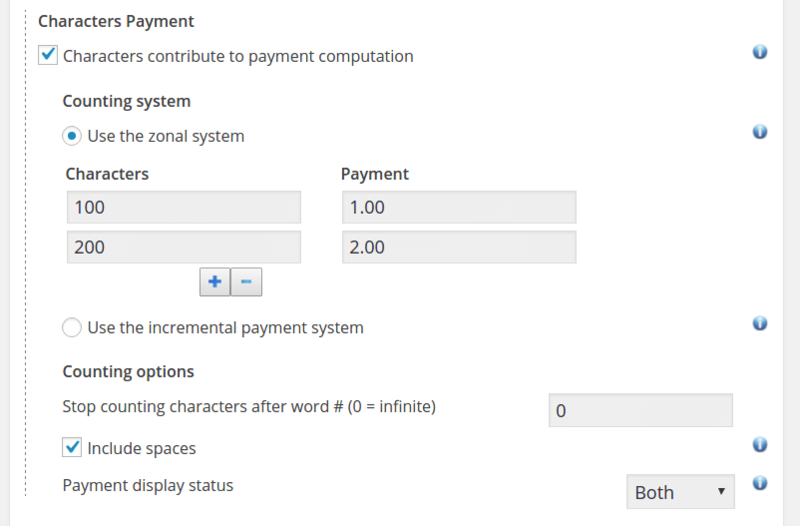 Payment options include, among classic ones (zonal or incremental payment system, set an upper threshold, payment display status), ability to consider or not spaces when counting chars. 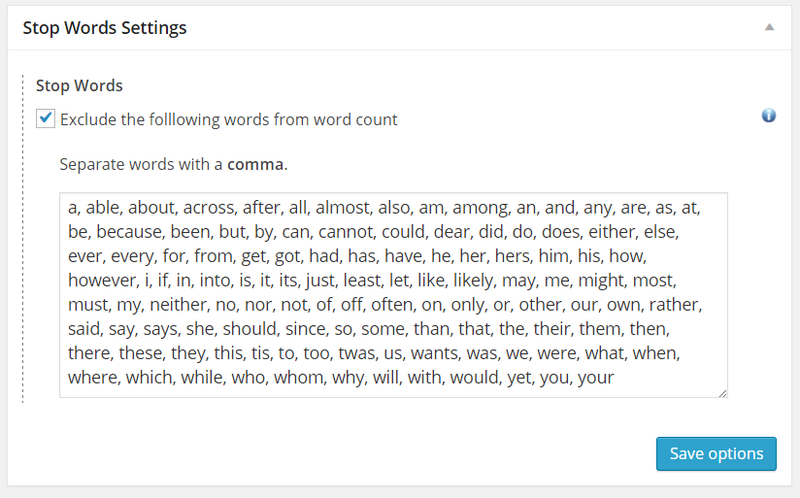 The Stop Words addon allows you to specify a list of words (stop words) that should not be counted when computing posts word count. This is ideal if you would like to pay your authors per word but don’t want to award money for conjunctions, adverbs and stuff like that. The Author Basic Payment addon allows you to award authors a fixed fee for each payment. 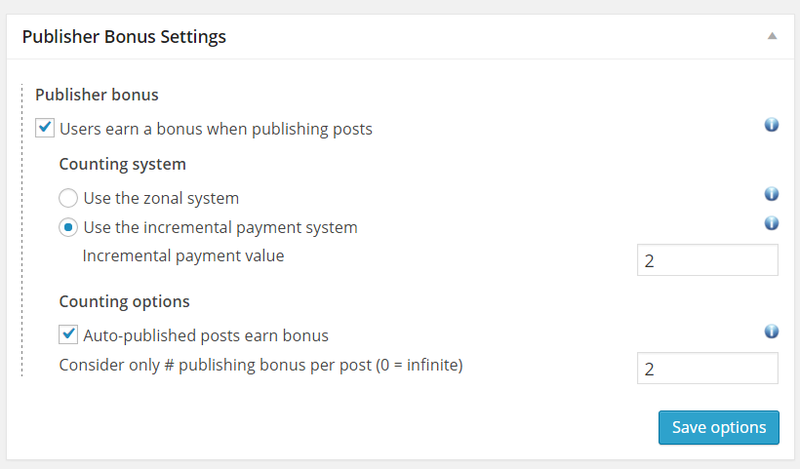 This is just the same as the Basic Payment feature Post Pay Counter already allows for posts, but for writers instead. A free addon to exclude text enclosed by shortcodes from words payment. It works with any shortcode that works in WordPress. This is especially useful when you have custom shortcodes used to quote content, or to display content that was not written by authors and for which they should not be paid for. 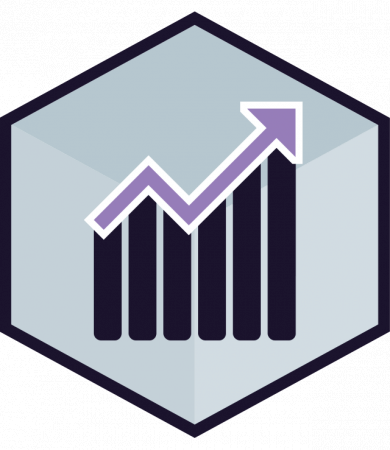 A free addon to use Post Views Counter data as visits source for Visits payment. See here to know how to make it work. A free addon to use Wp-SlimStat data as visits source for Visits payment.